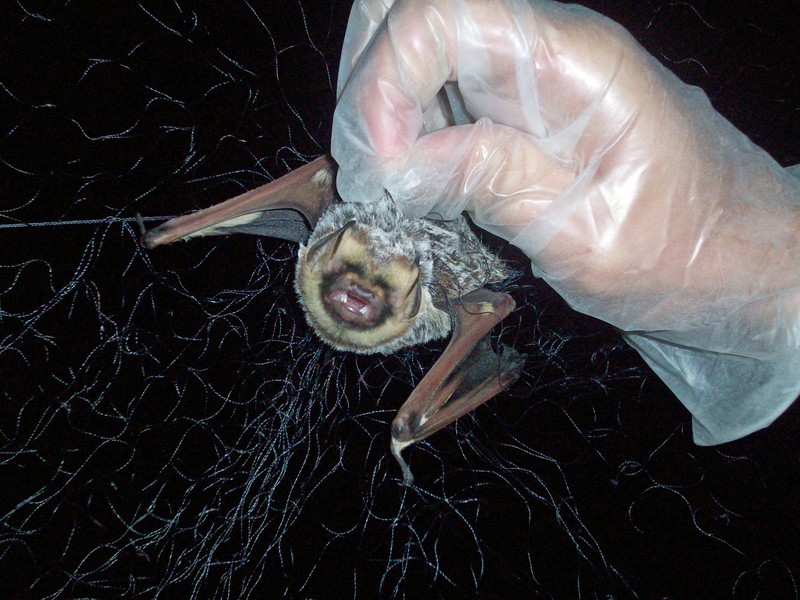 Editor’s Note: This article first appeared on FieldTripEarth in the Summer of 2009. 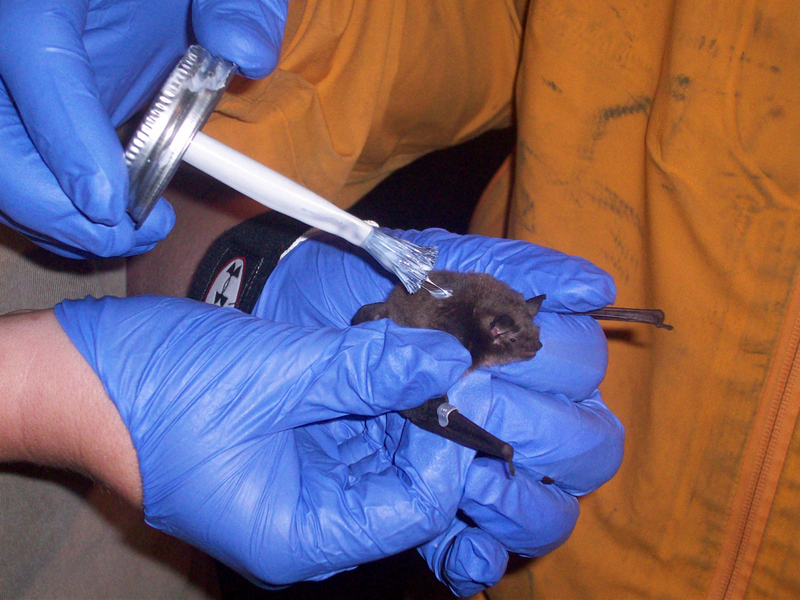 Although scientists better understand the causes of White-Nose Syndrome, they remain far from discovering a cure. 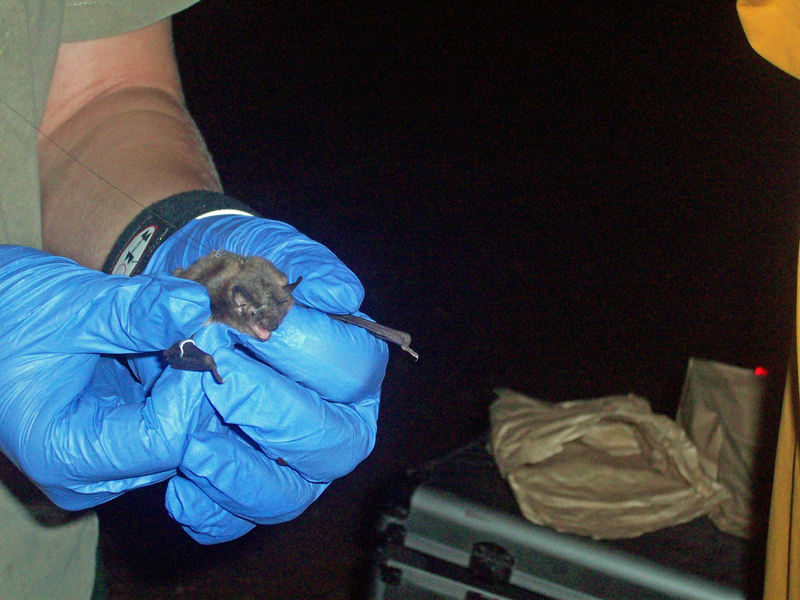 The summer of 2009 continues to be an eventful one as we have our hands full with multiple bat surveying and monitoring projects. 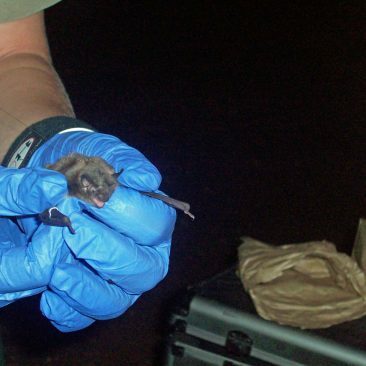 One of the reasons my crew has remained busy, not only in the field at night but also at camp during the day, is closely related to a serious illness endangering bat populations in the northeast. 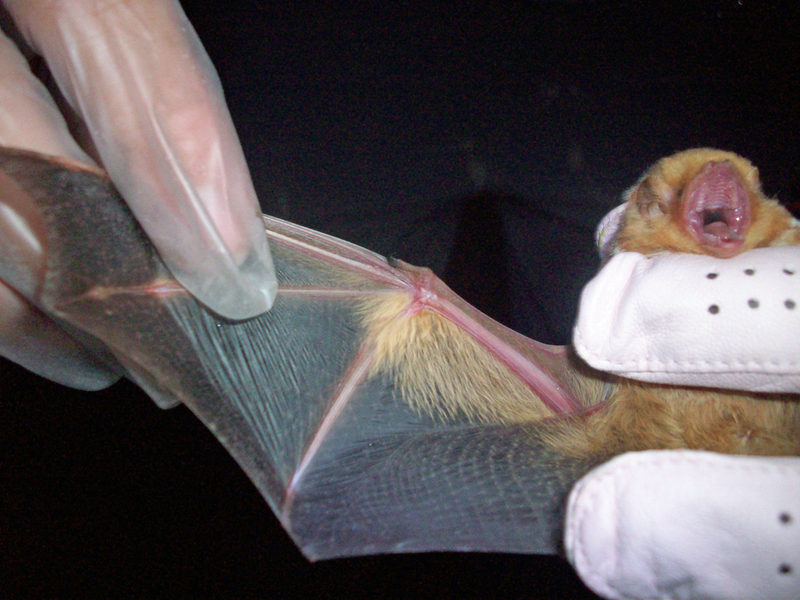 White nose syndrome (WNS) was first documented in a New York cave three years ago , when a caver discovered a white substance on the noses of hibernating bats, many of which were dead. 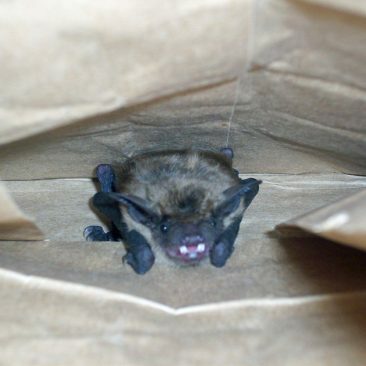 The issue immediately attracted the attention of biologists who reported the following year that hibernating bats afflicted with this syndrome often have low body weight and exhibit uncommon behavior. 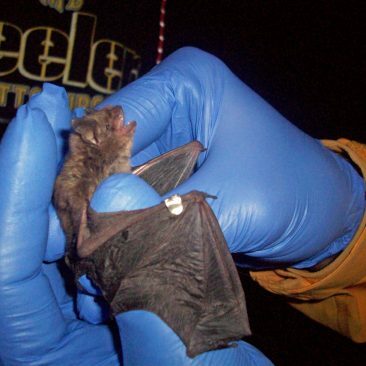 Since 2006, cases of WNS have spread in states spanning from Virginia to New England and are to blame for the deaths of several hundred thousand cave bats (Editor’s Note: Scientists have since found WNS throughout New England, as far south as Mississippi, and as far west as Missouri. 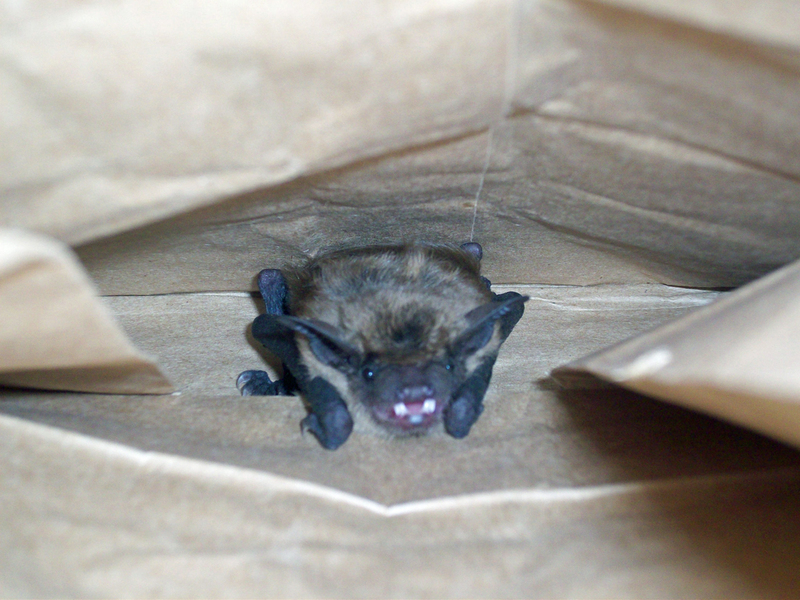 In addition, the death of some six million bats is attributed to WNS). 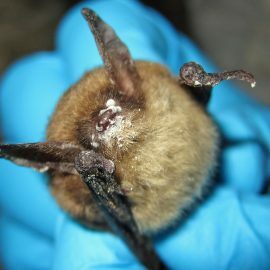 Although scientists are currently in the research process to pinpoint the exact cause and reason for the mass spread of the illness, it is thought that WNS is the result of a fungus, and that at least some of the contamination to other caves can be linked to human presence (Editor’s note: Scientists have since attributed the cause of WNS to the fungus Pseudogymnoascus destructans, which attacks bats’ skin). 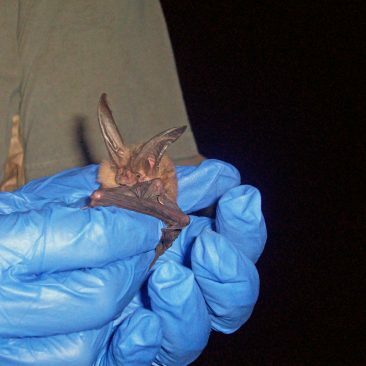 It is important to remember that any change in one animal population offsets the ecological balance and inevitably affects other animal species. 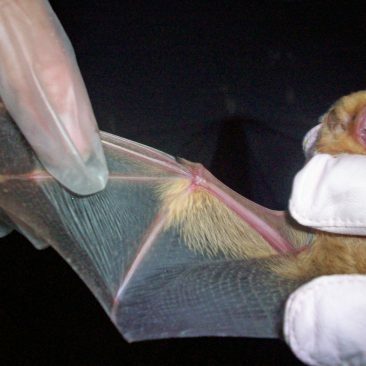 For example, since bats are so important in biological pest control, a drastic decline in their population would directly result in an increase in insect populations. 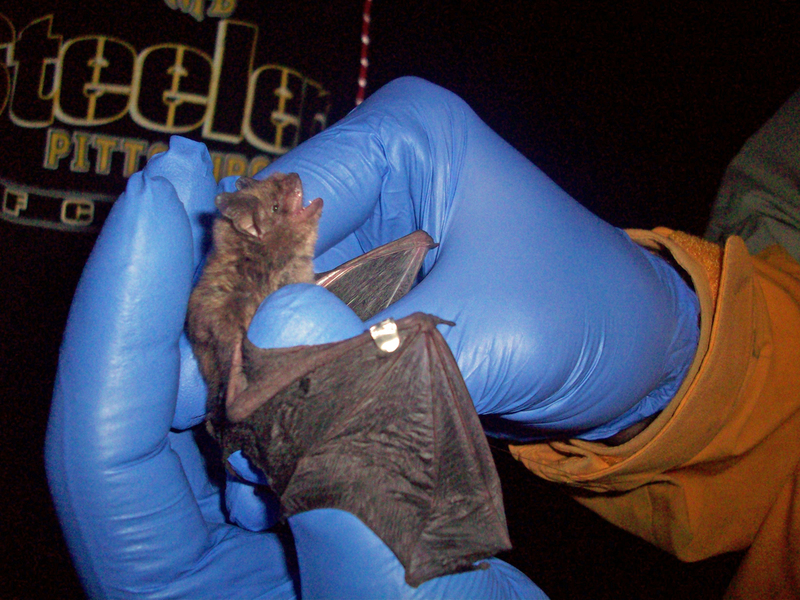 Because of the devastating environmental impact that WNS could potentially cause, our crew follows strict state and federal protocols designed to protect the bats and prevent unintentional spread of the fungus. 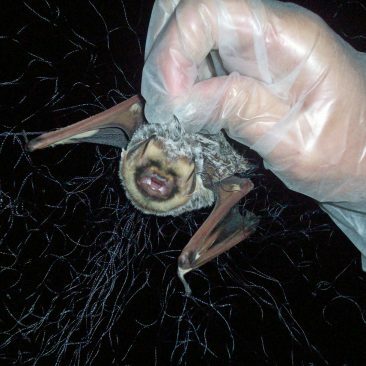 In addition to using disposable and separate gloves and bags when handling and processing the bats in the field, we take great care to sterilize other equipment, such as mist nets and boots during the day after each individual site we visit (you can see, in the pictures in the right-hand Media Gallery, that we are always wearing gloves while handling bats). Research is currently being done on the particulars of WNS and the fungus that causes it; therefore, protocols outlining decontamination and prevention practices are constantly being modified. 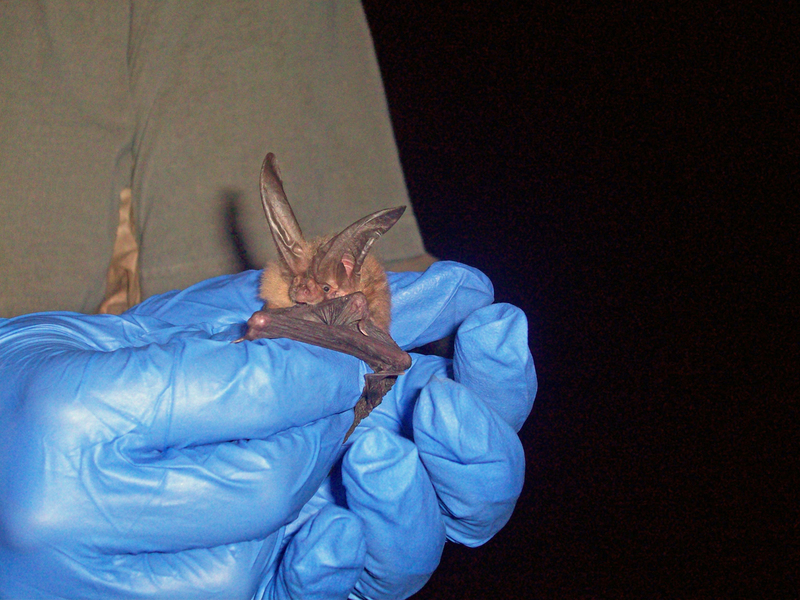 Although it is interesting to be working with bats during such a tumultuous time, it is very sad to think of the outcome that WNS could have on northeastern bats if concrete answers and solutions are not reached soon. 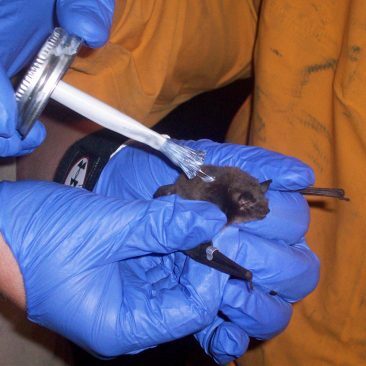 In the meantime, we’re doing everything we can to help the efforts by recording any signs of white nose (usually seen in excessive wing scarring) and preventing any possible contamination from one geographical area to another. Let’s hope that continued research will lend more information on how to stop the spread of white nose!